If you’re upgrading from the Apple iPhone to an Android smartphone such as the Galaxy S3, you’ll want to transfer your phone book, text messages, photos and music. If you’ve just moved from one of Apple’s iPhone devices to a new smartphone running on Android, you’ll want to transfer across your personal data such as phone numbers, text messages, photos and music downloads. This is generally a fairly painless process if you use the right software. In this article, we give a step-by-step walkthrough of how to transfer your personal information from an iPhone to a Samsung Galaxy Android device. This guide can be followed by anybody moving to a device such as the Samsung Galaxy S3, the Samsung Galaxy Note 2 or the Samsung Galaxy S2. It follows on from our previous article about transferring data between two Android devices. 1 How do I transfer my phone book from iPhone to Android? 2 Can I transfer my text messages from the iPhone to Android? 3 How do I transfer photos, music and videos from my iPhone to my Android device? 4 Can I continue to use the iPhone applications that I’ve paid for? 5 Can I keep my existing phone number? 6 What should I do with my old iPhone? 7 Where can I download the “Easy Phone Sync” software? 8 What about transferring data to non-Samsung Android smartphones? How do I transfer my phone book from iPhone to Android? If you’re switching from an Apple iPhone to a Samsung Galaxy device including the Galaxy S3, the easiest way to transfer your phone book is to use a free piece of software called “Easy Phone Sync”. To use it, you’ll need to download a free piece of software for your PC or Mac and another free piece of software for your Android device. Both parts of the software are free to use. Once you’ve installed both parts of the Easy Phone Sync software, start off by connecting your old iPhone to your computer. Plug in your iPhone to your computer and open up iTunes. Your iPhone should appear under the “Devices” heading in the left-hand column of iTunes. After clicking on your iPhone, you will be asked to synchronise data between your iPhone and the iTunes software. You should check all of the boxes for synchronising including for your phone book, text messages, photos and music files. There is more information on the Apple website on syncing your iPhone. If you’ve completed this step fully, your iTunes should now possess an up-to-date copy of the data on your iPhone. The plan is to now use “Easy Phone Sync” to copy the data out of iTunes and into your new Samsung Galaxy device. Open the “Easy Phone Sync” software on your new Android handset and on your PC. Now connect your Android handset to your computer using a USB cable. If this is your first time to connect an Android device to your computer, it may take a while as your system needs to download and install driver software from the internet. Once your new device has been recognised, open up iTunes. Providing everything has gone to plan, iTunes should recognise your Samsung Galaxy device and should offer to synchronise your iTunes data to it. A dialog box will pop-up: click on “Settings” and check all the relevant boxes for the data that you wish to transfer. In particular, be sure to check the box for your phone book and any other information you wish to copy across. Samsung Geeks has a video walkthrough of this process. Can I transfer my text messages from the iPhone to Android? iMessages (left) have blue bubbles whereas SMS messages (right) have green bubbles. Yes. The “Easy Phone Sync” software allows you to transfer your text messages providing you check the options. You must first synchronise text messages from your iPhone into iTunes before synchronising them from iTunes onto your new device. 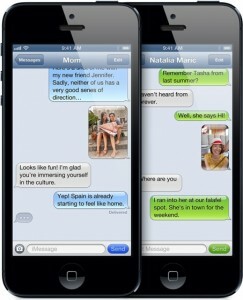 Note that the iPhone supports an proprietary text messaging service called iMessage. This is a service provided by Apple that allows iPhone owners to send extra-long messages and photos to each other free of charge. On your iPhone, you can tell whether messages are being sent through iMessage by observing the colour of the conversation bubbles in the messaging application. A blue conversation bubble means iMessage is being used whereas a green conversation bubble means a traditional SMS messages are being used. As Android devices do not support iMessage, you will no longer be able to receive iMessages after changing handset. For this reason, you should disable it for your phone number so that your friends won’t continue sending you iMessages. As the iPhone is configured to use iMessage by default for all phone numbers that have opted in, this is an important step to make sure you don’t miss out on any messages. To disable iMessage for your phone number, navigate to Settings > Messages on your iPhone and disable iMessage. More information is available in the Apple Knowledge Base. How do I transfer photos, music and videos from my iPhone to my Android device? The Easy Phone Sync software has an option to transfer your photos, music and videos. Please follow the same instructions above for transferring your phone book from iPhone to Android but ensure that the relevant checkboxes are selected for copying across your photos, music files and video files. If you’ve purchased content from the iTunes store, there is the possibility that it is encrypted with DRM (Digital Rights Management) and won’t work on your new Android device. This is because Apple does not allow other devices to implement their “FairPlay” DRM system. Thankfully, the majority of music sold since March 2009 on the iTunes music store has been DRM-free. However, television shows or movies still have DRM restrictions and are unlikely to work on Android. There are ways to remove DRM protection from iTunes downloads but you should verify whether this is legally permissible in your country before attempting to do so. Can I continue to use the iPhone applications that I’ve paid for? No. Android devices are not compatible with iPhone applications. This means you’ll need to download all of your applications from scratch and you may need to pay for applications again. The silver lining is that many paid iPhone applications are free on the Android platform so this may be a smaller expense than you’d think. Examples of apps which are free on Android but paid on the iPhone include Angry Birds. Android applications can be downloaded from the Google Play store. Yes. It is possible to keep your existing phone number even if you’re changing mobile phone network. For customers staying on the same mobile network, it’s worth noting that your phone number is linked to your SIM card rather than your phone. If you slot your old SIM card into your new Android device, it will already have your existing phone number. 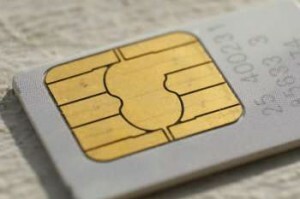 Customers upgrading from the iPhone 3G or iPhone 3GS to one of the latest Samsung devices (Galaxy S3 & Galaxy Note 2) may need to replace their SIM with a Micro SIM. If you’re switching mobile network, you’ll need a PAC Code to transfer your phone number. It can take up to 24 hours to process a number transfer. For more information, see our detailed guide to transferring your phone number. An old iPhone could be used on a super-cheap SIM Only deal. We recommend holding on to your old iPhone for at least a few weeks: this will give you time to discover whether there is any remaining data you’d like to transfer between handsets. Once you’ve decided that you no longer need your old iPhone, it can be a good idea to pass it on to a friend or a family member. If you unlock it first, they can use the iPhone on a super-cheap SIM Only deal for as little as £6.90/month. Unlocking your iPhone will also maximise its value if you decide to sell it. See our guide to unlocking your iPhone for more information. Finally, regardless of how you dispose of your old iPhone, please be sure to remove any personal information from it. This will ensure that you are not the victim of identity theft. Where can I download the “Easy Phone Sync” software? There are two parts to the “Easy Phone Sync” software: one part that runs on your PC or Mac and a separate part that runs on your Samsung Galaxy Android device. You must have both parts of the software installed to transfer your data. The PC or Mac portion of the software can be downloaded for free from the EasyPhoneSync.com website. For the smartphone portion of the software, you can download Easy Phone Sync for free from the Google Play store. 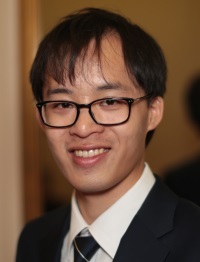 It’s restricted to Samsung devices as Samsung have funded the development of this application. 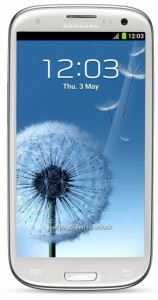 What about transferring data to non-Samsung Android smartphones? Users who are upgrading to an Android device from another manufacturers such as HTC, LG or Motorola can instead download the free Easy Phone Tunes software. This is similar to Easy Phone Sync and was developed by the same company. However, it’s limited only to music (you can’t copy your phone book or text messages using this software). We’ll have a full guide on how to transfer your data to Android smartphones from other manufacturers soon.